Explore how the beauty and vitality of the natural world can transform modern society. This groundbreaking book from artist-author-advocate Osprey Orielle-Lake explores how the beauty, vitality, and ecologi­cal systems of the natural world can guide and transform hu­man perspective, particularly as we face current environmental crises. Lake shows that we must infuse our cul­tural discourse with the language, importance, and wisdom of nature, that lasting changes in our way of life will arise from and find broad support only when nature in all its transforma­tive beauty and power is once again front and center in our everyday vocabulary and life. Osprey takes us along wild rivers as she explores water conservation and the mysteries of water science; sits us around a fire along with great minds of past and present to contemplate the climate crisis; and takes us to several continents where we navigate deeper into history of culture and land. Whether you are an agent for social, environmental, or political change or a lover of natural history and literature, consider this book required reading for its inspiration, innovation, and hope for the Earth and future generations. 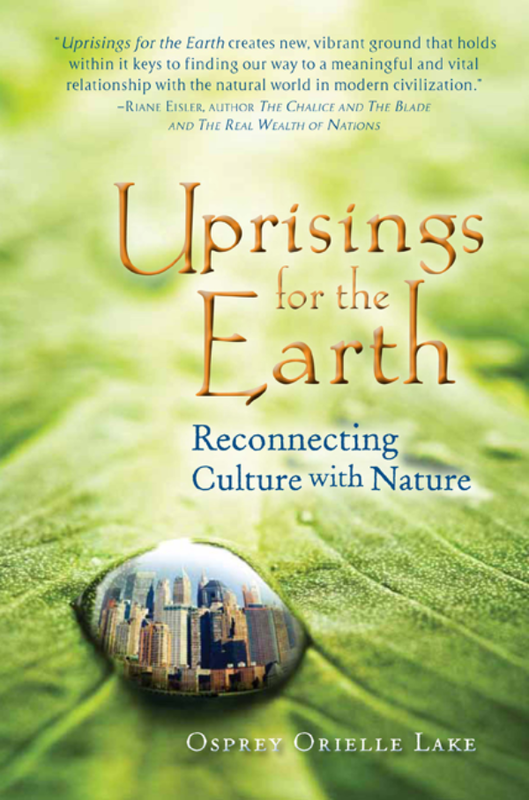 “Uprisings for the Earth is a book for leaders and for those who feel the call to lead in this historic moment. The unity of Earths biological functioning has been broken, and thus all intelligent humans are united in a search for planetary healing. What you will experience in Uprisings for the Earth you will experience nowhere else.” ~ Brian Swimme, California Institute of Integral Studies, co-author The Universe Story with Thomas Berry.